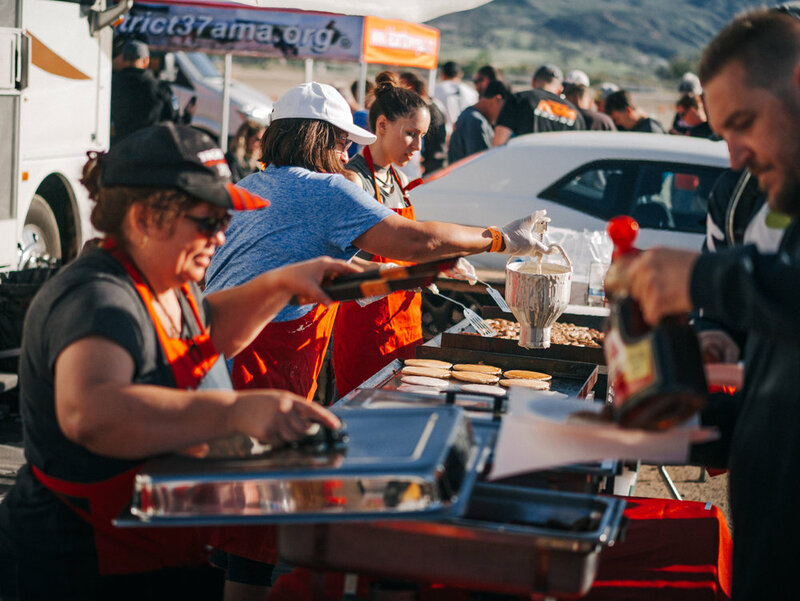 Saturday, April 14th close to 300 people gathered at Glen Helen Raceway in support of a great cause, to raise money to find a cure for pediatric brain tumors. The morning starts off with pancakes and bench-racing, with old and new friends. 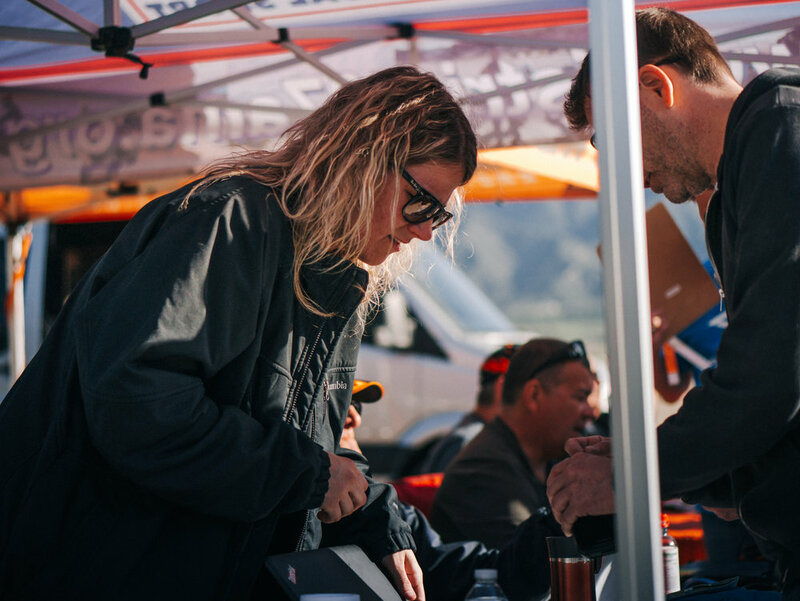 Tracks are downloaded and the rider meetings and giveaways begin. 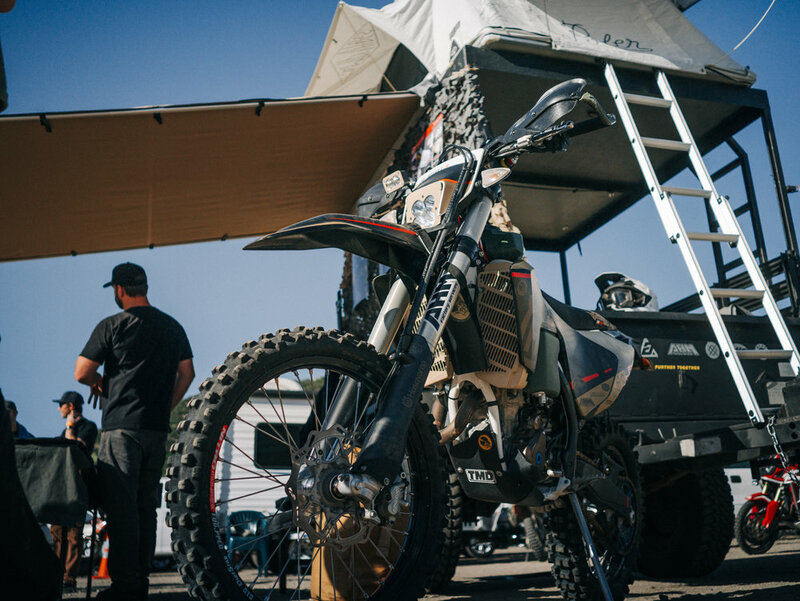 The raffles and giveaways are top notch with many chances to win and at the end a Honda Dual Sport is presented to one lucky participant. Here at WLF this is one of our favorite local dual sport and adventure rides of the year. The O.C. Dualies have this one on lock with several routes to accommodate all variety of skill levels and types of bikes ridden. 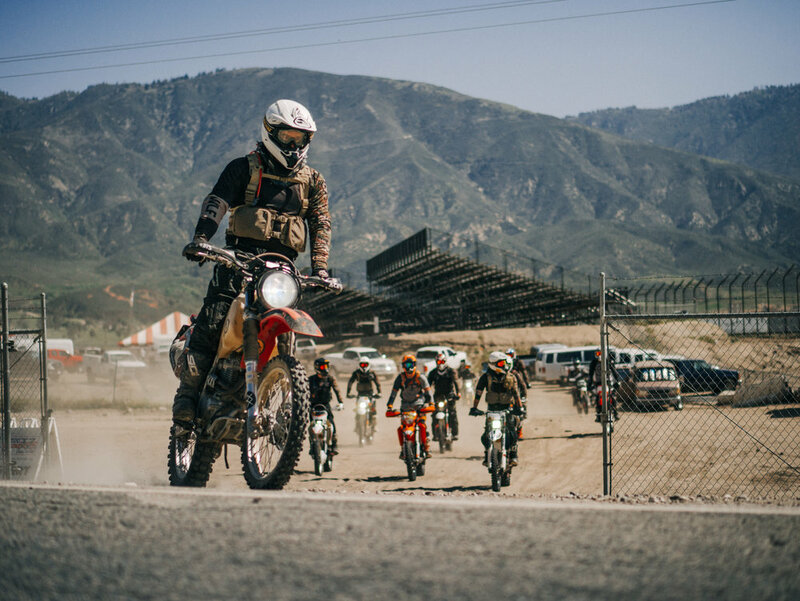 The ride starts from the parking lot at Glen Helen and it’s a straight shot up and over the local hills down to Silverwood Lake. From there, you traverse the hills through amazing trails to Lake Arrowhead for lunch. When ya’ land the BBQ’s hot, snack, drinks are a plentiful and as its devoured, the tall tales of the adventure are told. New riding groups are formed, bikes are repaired and with a full belly the ride begins back to where it started. RAFFLE TO HELP CURE THE KIDS! If you were unable to make the ride this year it is not too late to help. 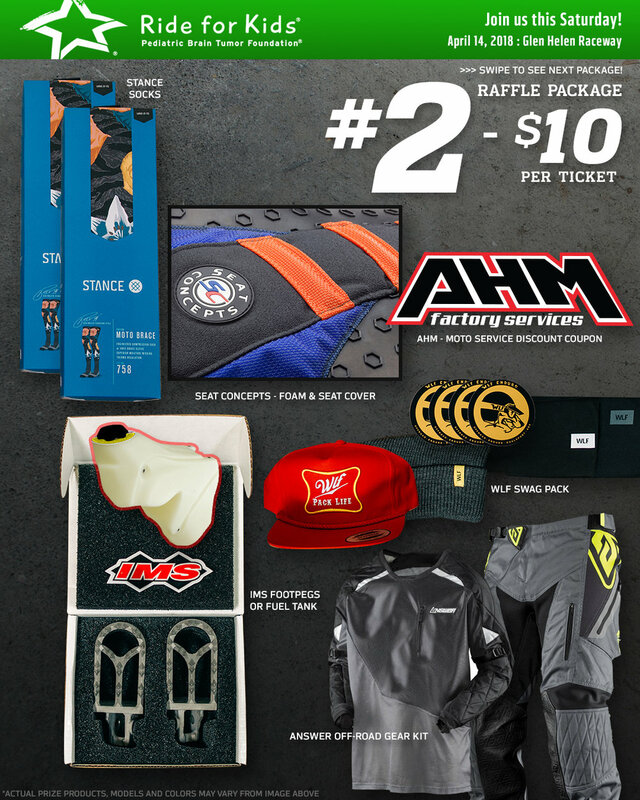 We have raffle tickets for sale on 3 amazing prize packs loaded with high quality performance products and gear from some of the best brands in the biz FMF73, AnswerRacing, GiantLoopMoto, AHMfactoryservices, IMSproducts, Nixon, SeatConcepts, Stancesocks BajaDesignOfficial!! The raffles will be drawn this Friday and 100% of the proceeds go to the Pediatric Brain Tumor Foundation. Our humble goal is $5,000. Help us reach that, if not more and possibly take home some epic goods! Good Luck!! WLF Enduro would like to rally the troops in support of these kids and their families. Donations contribute to funding the research of pediatric brain tumors and also educational resources including college scholarships for survivors as well as emergency financial aid for families. Huge thanks to all of our contributing brand partners for making this possible! We are looking forward to hitting the trails with an amazing group of people and supporting this deserving cause!! !